It's nice to finally get a little produce. The zukes are very shiny arent they? How perfect do those 3 shiny, even sized zucchinis look, compared to the ones you photographed a few weeks back that actually won a prize at the show?! 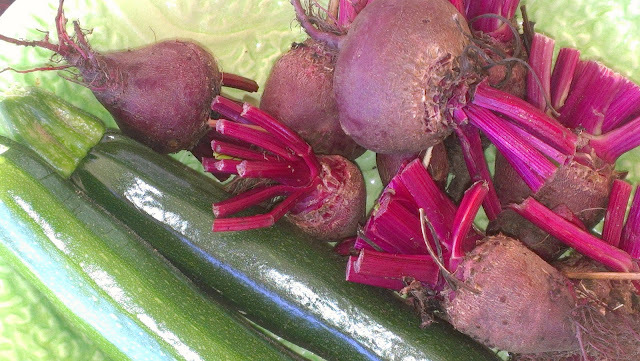 Great beetroot harvest too, I love eating beetroots young, they are so tasty at that stage. 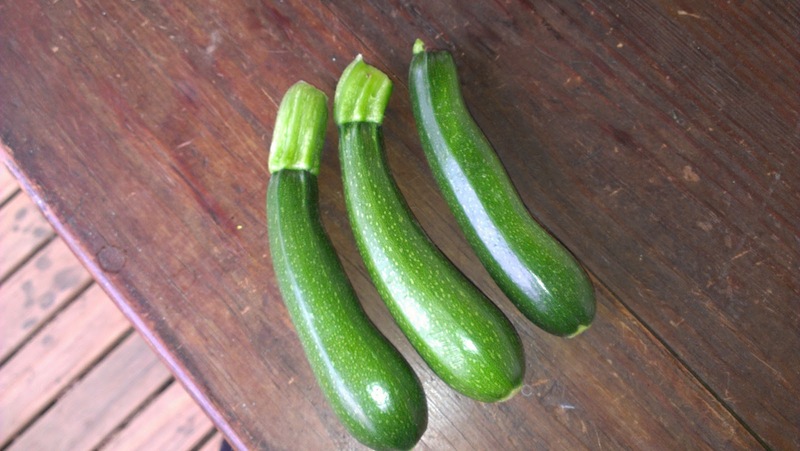 I have decided that I will be entering 3 zucchinis under 18cms in next year's Gundagai Show. Shhh, don't tell anyone, but I am thinking of growing three different colour types ( yellow, pale green and dark green) to aim for a mixed coloured 3 zucchini submission. I really must sow some peas. 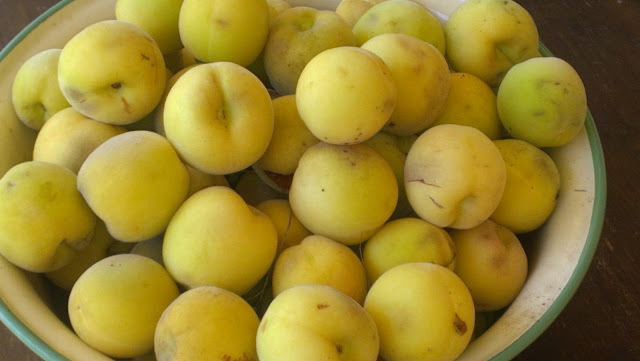 In fact there are any number of things I really should get round to sowing, or planting...like a peach tree I am very jealous of yours. To date I have only grown snow peas. This year I am also raising sugar snaps. 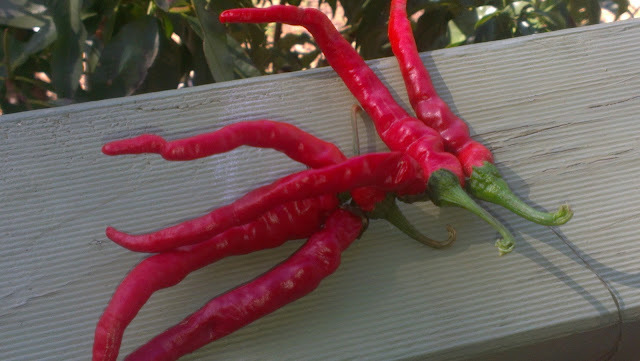 I am a little worried that in my climate I should be growing them in summer... I suspect that frost on the flowers might be a problem... let's see. Yum. 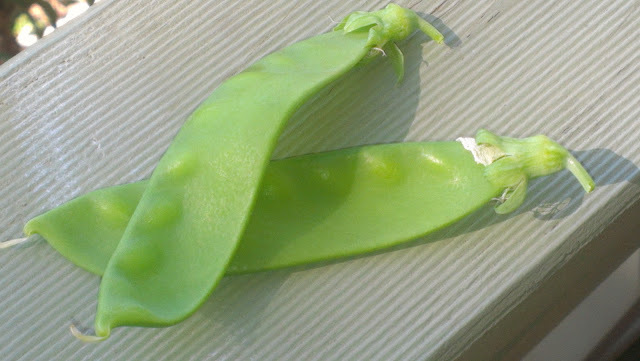 I wish I could grow snowpeas! Mine always get eaten by bugs. Its cruel! Your peach harvests are amazing. Yummy. Love all the beautiful colors! TFS.